The .AC.TZ domain extension is a name space to be used by academic institutions located in Tanzania. Requirements: Copy of organization license showing you are a academic and educational institution that grants baccalaureate degrees in Tanzania. Approval of head of institution required. Info: One domain per company. DNS servers should have separate backbone providers. DNS update fee is $25.-. Ownership update is $144.-. Description: .CO.TZ extensions are added to websites that are aimed at a Tanzanian audience. Tanzania is divided into thirty different regions. It i.. 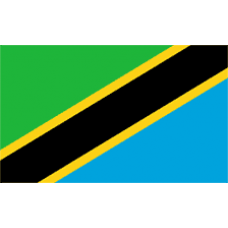 Description: .OR.TZ extensions are added to websites that are aimed at a Tanzanian audience. Tanzania is divided into thirty different regions. It i.. Description: .NE.TZ extensions are added to websites that are aimed at a Tanzanian audience. .NE.TZ extensions are an excellent ch.. Description: .TZ extensions are added to websites that are aimed at a Tanzanian audience.The .GO.TZ domain extension is intended to b.. Description: TZ extensions are added to websites that are aimed at a Tanzanian audience.The .SC.TZ domain extension is intended to be..